When Todd Henderson first dreamed of a point-to-point 100-miler in his home state of Alabama, he was simply trying to do his running friends a favor. The year was 2008. 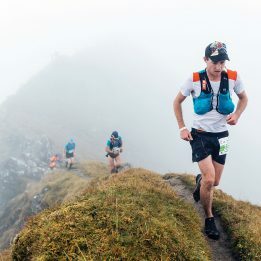 At that time, the closest 100-mile trail races were nearly 500 miles away in Arkansas or North Carolina; anyone in Alabama, Mississippi, Georgia or Tennessee who wanted to run a 100-miler had to travel. This seemed especially lamentable given that Henderson’s town of residence, Sylacauga, sat poised at the edge of a 392,000-acre expanse of wild woods, mountains, creeks, bluffs and gorges stretching all the way from central Alabama to Georgia. 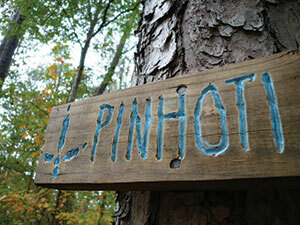 Cutting through the heart of Talladega National Forest is the 335-mile Pinhoti National Recreation Trail. 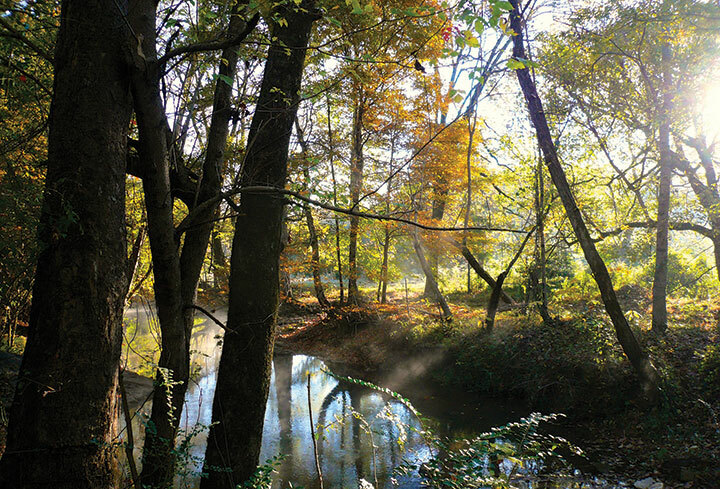 The trail is marked with blue blazes and turkey tracks—the word “pinhoti” is Creek Indian for “turkey home”—which gave Henderson both a name for his brainchild of a race and a place to host the majority of its miles. The course begins in the woods near Heflin and finishes on the track of the high-school stadium in Sylacauga. 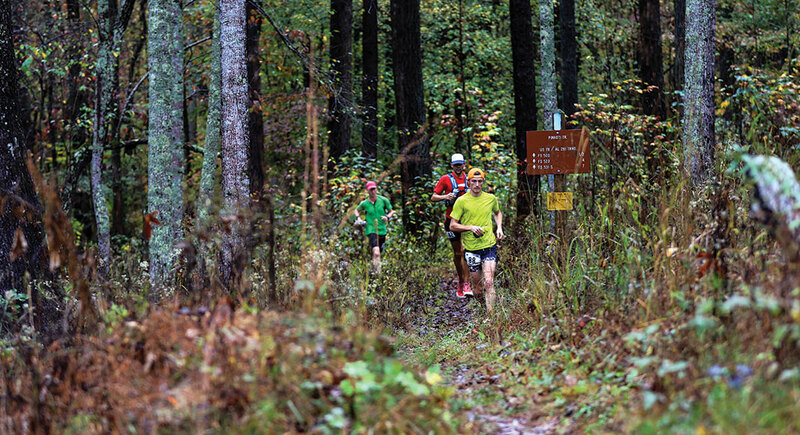 Contradicting any stereotypes about Alabama being flat, the race boasts more than 15,000 feet of vertical climb on its rolling ramble across the eastern part of the state. 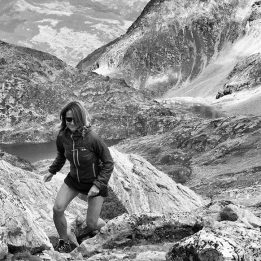 (For comparison’s sake, Colorado’s Leadville Trail 100 has roughly 18,000.) At mile 40, runners summit Alabama’s highest point, the 2,413-foot Mount Cheaha, before tackling a steep descent over mossy boulders, gnarled tree roots and creek beds. 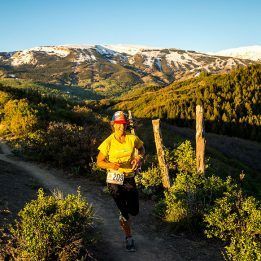 Pinhoti’s ample aid stations—18 of them—are staffed by dedicated volunteers who appear to be in friendly competition with one another for the most creative aid-station themes, the loudest music and the most lavish food and beverage offerings. Last year, one aid station even hooked up a flatscreen TV to broadcast the Alabama-LSU football game live for runners as they came through. Phillips and Chassé say it’s the people that really keep them coming back year after year—the hard work Henderson pours into the event, the lively volunteers, the fellow runners who go out of their way to help one another succeed. Phillips has fond memories of sharing some friendly chit-chat with famed ultrarunner Karl Meltzer in 2009, as the two of them led the race together for a few miles (“because I was an idiot, I guess,” says Phillips) before Meltzer went on to set a new course record. “That’s made me feel pretty good about what we’re doing,” says Henderson. Getting There / The race’s host town of Sylacauga is a one-hour drive from Birmingham, or two hours from Atlanta. Accommodations / Quality Inn in Sylacauga offers runners a discounted rate for race weekend. The Holiday Inn Express is another option. Primitive camping is also available in the Choccolocco Wildlife Management Area near the race start. Post-Race Fun / Enjoy a scoop (or three) of ice cream at the Blue Bell Creameries ice-cream factory. Visit the historic Kymulga grist mill and covered bridge in nearby Childersberg. For family fun—think caves, mazes and kid-friendly rides—head to DeSoto Caverns Family Fun Park. Thanks to her enthusiasm for fresh vegetables and hummus at the Hubbard Creek aid station in 2014, Yitka Winn is known in Alabama as Broccoli Girl. This article originally appeared in our October 2016 issue.